On 6th April, 2011 Om Books International is launched 'AR Rahman: The Spirit of Music' which provides a fascinating window into the world of the great artist. Rahman's honesty, intelligence and unpretentiousness shine through as he talks about everything you wanted to know about his life and his world of music. The book launch will be attended by some well-known celebrities and will have renowned film maker and producer Mani Ratnam doing the honours. The book has been written by renowned film historian, Nasreen Munni Kabir, who has also made over 80 documentaries on Indian cinema for Channel 4 TV, U.K. In this book, she provides rare insights into Rahman's private life and his music. There are photographs from his personal archives as well as a gratis CD of music composed by him (8 tracks). Says Ajay Mago, Publisher, Om Books International, "It is indeed a rare honour to publish this book. AR Rahman's journey, like that of most great artists, is one that moves and inspires. Nasreen Munni Kabir has recorded this journey, over the last three years. 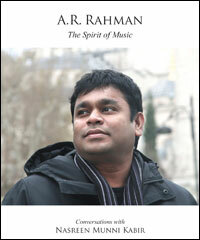 This book also has a CD with AR Rahman's compositions for free distribution with the first edition." A two-time winner of the Academy Award (Oscars), the BAFTA and the Grammys, AR Rahman is popularly known as the man who has redefined contemporary Indian music. 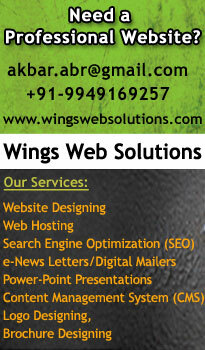 He started his career composing commercials for cinema and television. But after ROJA (1991), Rahman's musical genius caught the attention of Andrew Lloyd Webber who invited him to compose music for the stage production of BOMBAY DREAMS. He is now familiar to the audiences in the West as his song Jai Ho from the film SLUMDOG MILLIONAIRE topped the charts all around the world. His film soundtrack albums have sold over 150 million copies across the world and he deservedly enjoys iconic status in India.